The ACER SWITCH 5 SW512-52P-54J6 ( NT.LDTEG.002 ) is tablet PC comes equipped with the processing power of 7th generation Intel Core i5-7200U dual core SoC based on Kaby Lake architecture that features 3 MB level 3 cache and runs at the base clock speed of 2.5 GHz with Intel Burst speed of up to 3.1 GHz. This also offers an integrated GPU called Intel HD Graphics 620 clocked at 300 - 1000 MHz. This ACER SWITCH 5 SW512-52P-54J6 ( NT.LDTEG.002 ) tablet PC is packed with different features such as 8 GB LPDDR3 SDRAM to deliver robust computing performance that's ideal for multi-taskers; 256 GB Solid State Drive which is much better than the HDD; 5 Megapixel (rear), 2 Megapixel (front) camera; media reader for simple photo transfer that supports SD memory card formats; Acer TrueHarmony ™ and Smart Amplifier; full-size magnetic snap-on keypad provides convenient typing while simultaneously protecting the display during transport; Multi-gesture touch pad, active digital input pen included; Acer FineTip keyboard; on / off button acts as a fingerprint scanner; G-sensor; Volume control, Windows button, built-in easel kickstand; adjustable stand (up to 165 °), aluminum back panel, fanless design with Acer LiqidLoop ™ cooling system; and a 2-cell 4870 mAh Li-Polymer battery (permanently installed) for up to 8 hours of battery juice. It comes in Cover: silver / gray, handgrip: black / anthracite for stylish look. 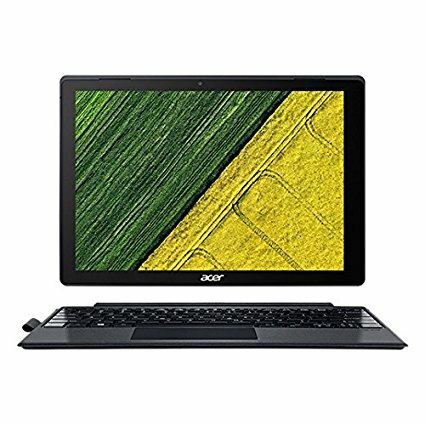 This ACER SWITCH 5 SW512-52P-54J6 ( NT.LDTEG.002 ) comes packed with 12.2" diagonal HD+ multitouch mercury free, wide viewing angle screen with a screen resolution of 2160 x 1440. This resolution is high so it is expected that it is sharp and clear compared to laptops with higher resolution. It also features IPS technology , 10-finger MultiTouch, and digitizer surface. With regards to connectivity, this laptop PC comes packed with Bluetooth 4.0; Wireless AC (802.11ac); 1x Type-C Gen-1 (5GBit / s, supports DisplayPort Alt mode); 1x 3.5mm Speaker / headphone / line-out (combined); displayport which is optional via USB 3.1 Type-C adapter (not included) and USB 3.0 port. 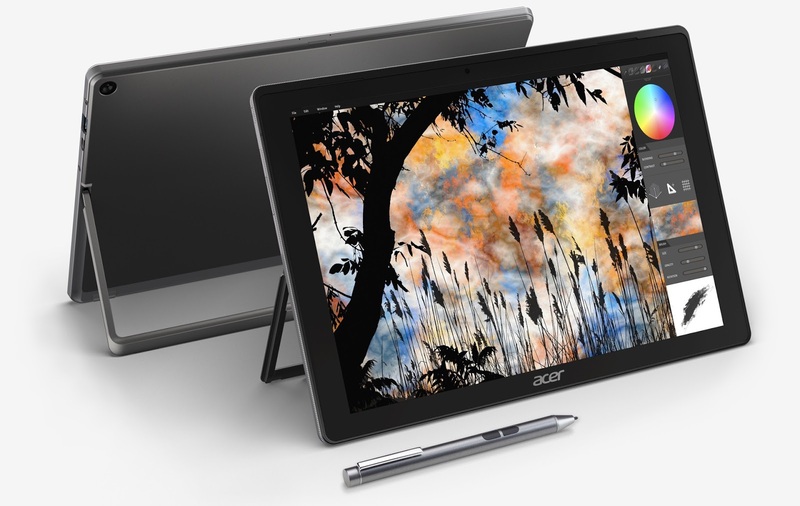 This tablet PC is powered by Windows 10 operating system. This tablet PC measures 292.90 x 201.80 x 15.95 mm and weighs at about 1.27 kg - tablet with keyboard. You can get this device at the price of $1705. Do you have this device? Share with us your experiences with this particular device. Other device in this price range includes ASUS ROG G752VTDH72.